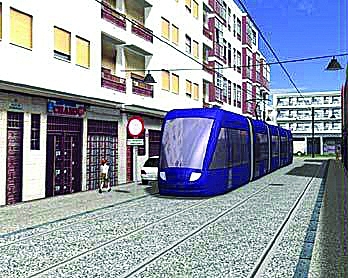 The trams currently operates two routes, one from the capital to La Laguna and other linking two large residential areas to feed into the main route, but plans have always been on the drawing board for a 3.2 kilometre extension to the airport, provided funding is available. The airport stretch is one of two being considered and is likely to get the nod soon from planning chiefs, with work possibly commencing as early as 2016. The extension would have three stops, including a new Park and Ride facility outside La Laguna, and is expected to coast around €60 million. The news will come as a shock to taxi drivers in both cities as airport drop-offs and pick-ups are a lucrative business for them. The drivers have long demanded compensation and incentives for the impact on business of the city tram since its introduction in 2007.